Such an innocent but honest question from the four-year-old daughter of now-retired American Airlines pilot Beverley Bass. Her daughter, Paige Stawicki, couldn’t quite pronounce the word pilot, and only knew what she saw, which was that her mother and her friends were all pilots and all women. 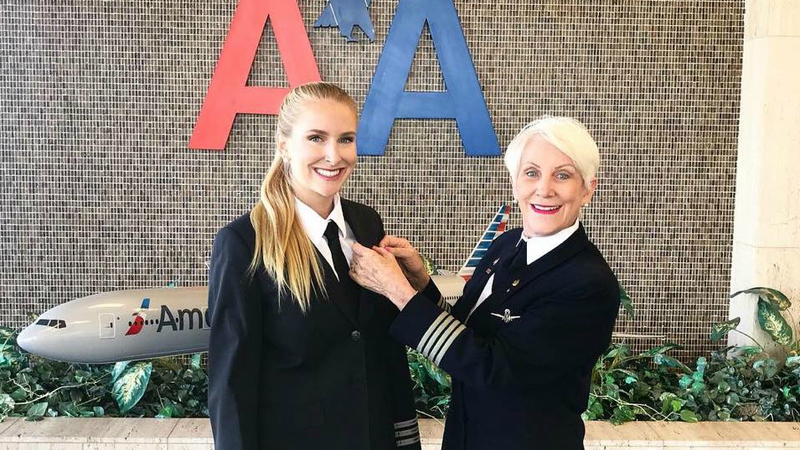 Since her childhood, Paige looked up to her mother who was the third woman pilot to fly for American and the first woman to be a Captain at American – a true pioneer. When Paige finally decided to try her hand at aviation, she had some big shoes to fill, but thankfully had all the right tools and personality to be successful; after all, she is her mother’s daughter. 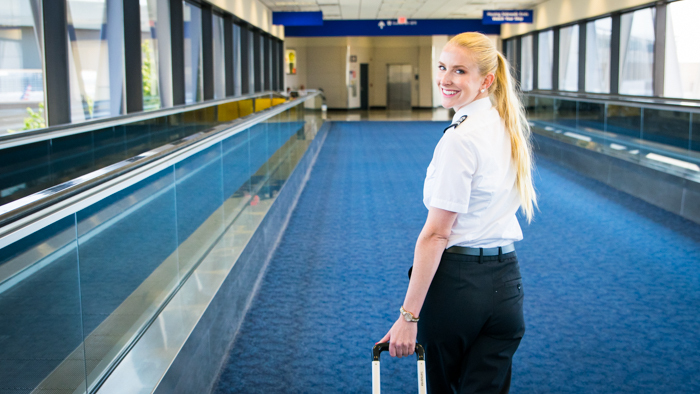 Now, at 25 years old, Paige is an Envoy First Officer flying the Embraer 145 out of LaGuardia Airport in New York. Her journey to the right seat wasn’t a direct route, but there’s no doubt in Paige’s mind that she eventually made the perfect choice for her career. After the tragedy of 9/11, even at eight years old, Paige saw the difficult future that lay ahead for the pilot profession. Instead of soaring through the sky, young Paige eyed a future of scrubbing in for surgery. Many years later, Paige chose to attend the University of Georgia where she majored in biology and psychology in preparation for medical school. 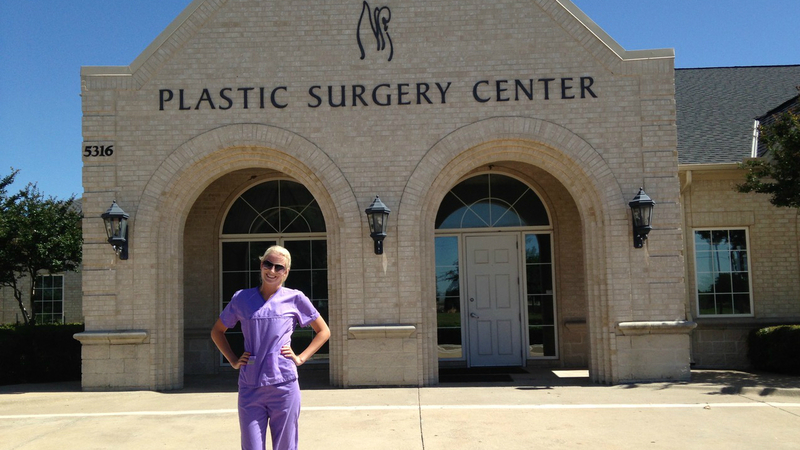 During her first couple of summers, Paige shadowed a plastic surgeon in Plano, Texas, where she gained a new reverence for the life-saving work they do in reconstructive surgery. One day, after a disappointing practice test result, Paige said she had a “meltdown” in her car, so she called her mother to vent her worries about continuing down the pre-med path. Beverley told her daughter – half joking, half serious – that she should just become a pilot. From that moment on, as Paige puts it, she had tunnel vision on becoming a pilot, beginning with her private pilot’s license. At 21 years old, Paige was determined to gain any and every flying hour she could manage, no matter if it meant working three jobs to do it. She flew an aircraft for local traffic watch, and often times she would sleep in her car at the Addison Airport in between the morning and evening shifts. She even split ownership of a Cherokee taildragger so she could make up a few hours here and there, especially at night. 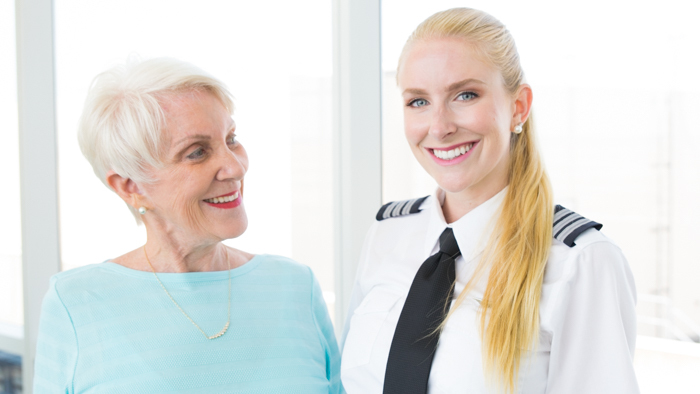 See, when your mom is a famous pilot – Beverley’s experience flying on 9/11 was portrayed in the hit Broadway musical “Come From Away” – you feel some pressure to catch up to the woman who became a Captain at 24 years old. But Paige’s laser focus and unwavering determination didn’t just fall from the sky, it came from the woman she’s admired and followed her entire life. Her steadfast, can-do attitude isn’t the only thing Paige got from her mother. She also has a galloping gusto for horseback riding. 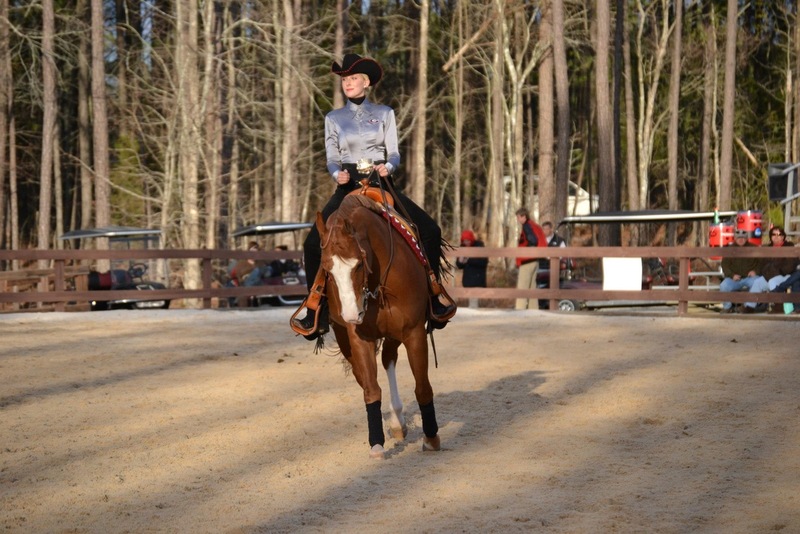 Beverley was a professional barrel racer in her youth, while Paige earned a scholarship to UGA and won many equestrian awards competing at her alma mater. Paige mentioned that piloting an aircraft and riding a horse have their similarities, and can see how many women who grew up riding horses also have an interest in flying planes. Maybe it’s taking control of a horse’s sheer power as you would an airplane, but Paige thinks it might be a pilot’s penchant for multi-tasking that draws in the similarities to riding a horse. When Beverly was training to be a pilot in the 1970s and 80s, she said that women pilots were “rare birds” and had to prove that they were skilled pilots before being considered “one of the guys.” Beverly began as a flight engineer and when she became Captain, she had finally earned the respect of her male pilot counterparts. 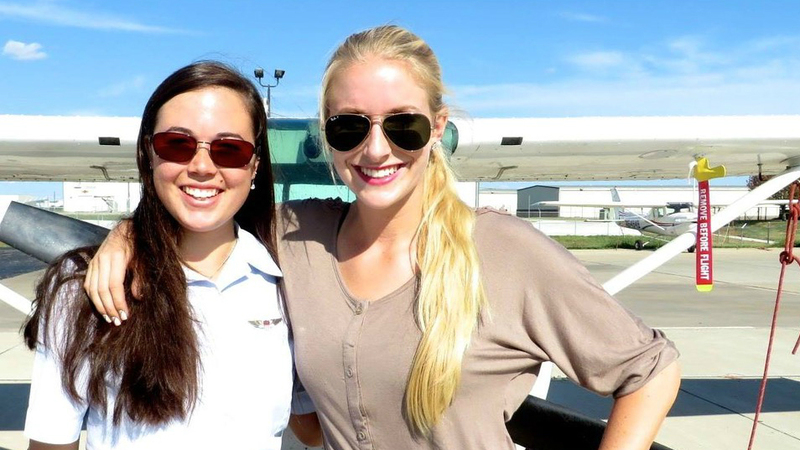 There’s not a moment that goes by when Paige isn’t grateful for the path her mother, and many other women pilots, blazed for future generations of young girls to realize that an opportunity to be a professional pilot is possible. 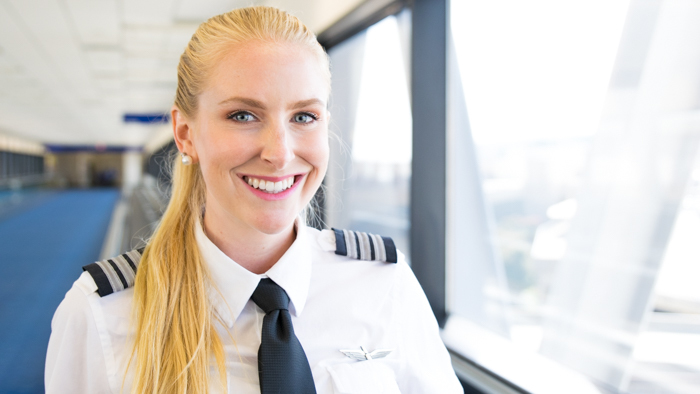 That’s why Paige has taken to mentoring young women while they’re in flight training, and shares her experience looking for flying jobs, applying to airlines and any boost of confidence they might need. Paige, however, didn’t need much of a pitch to apply to Envoy and American Airlines – all her life she had dreamed of flying for American just like her mother. After a short stint flying for a corporate airline, where she chartered flights for celebrities like Rhianna and Justin Timberlake (! ), she earned the necessary 1,500 hours to begin flying for Envoy. Besides being closer to home while training in Dallas, Paige also had the “security net” of the Flow-Through Program to American, which made Envoy the best company for her. She says she’s growing to like New York, but flying the Embraer 145 is the best part of her job. The same way she trained to become a pilot (full speed ahead! ), she’s a dogged Envoy First Officer who is willing to pick up any extra flying she can to keep herself busy. All the while free of regrets from leaving her pre-med degree behind and infinitely proud that she’s following her mother’s footsteps as a strong, woman pitot.